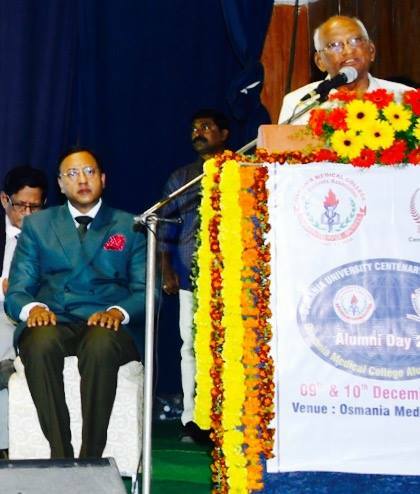 Dr. Raghu Ram presented Prof. P.V. 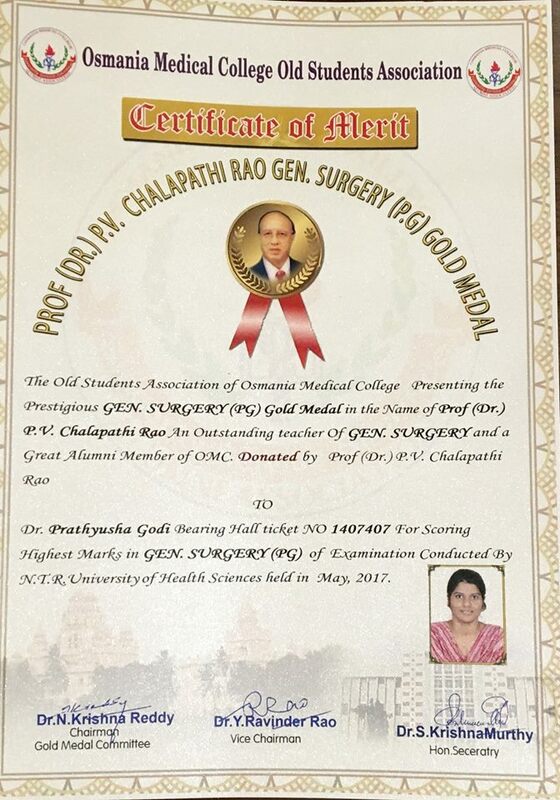 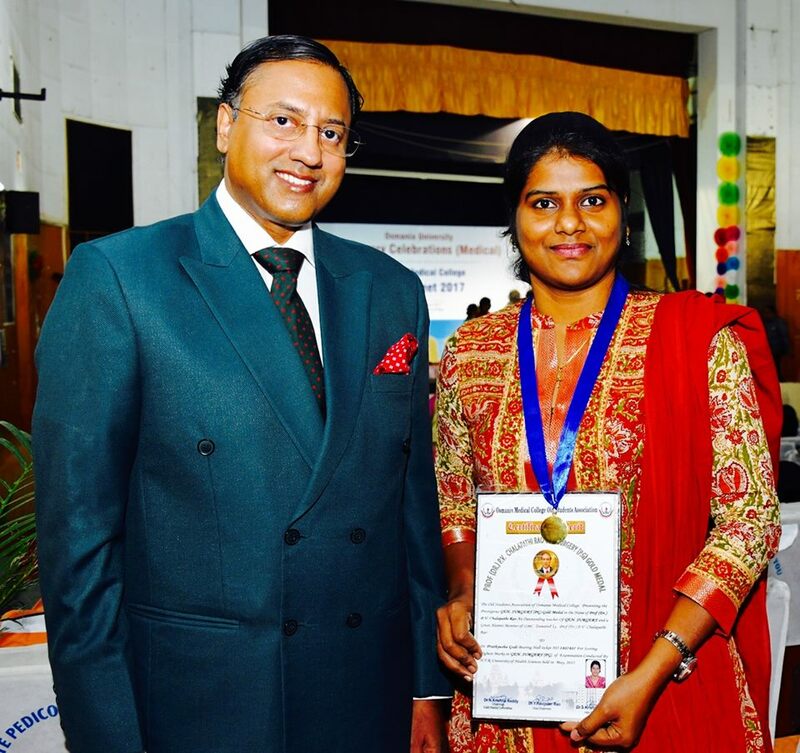 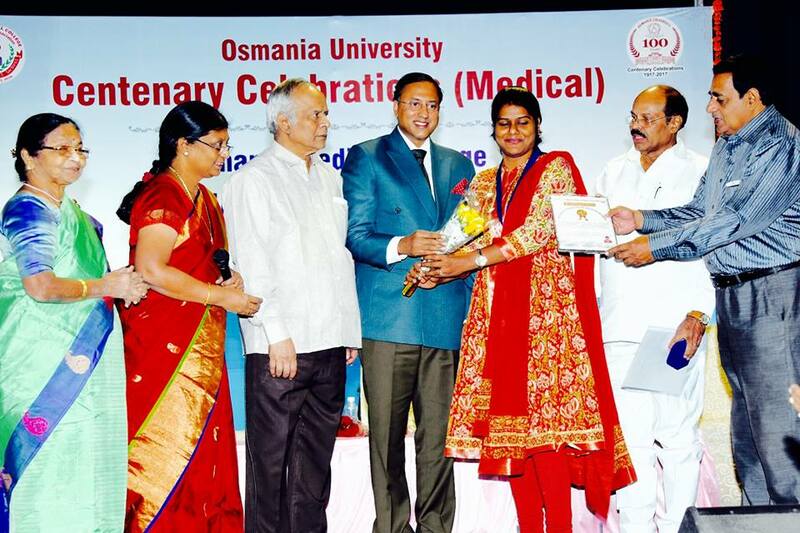 Chalapathi Rao Gold Medal for the year 2017 to Pratyusha Godi - best outgoing Postgraduate Student in Gen Surgery from Osmania Medical College at a function organised by Osmania Medical College Alumni Association. 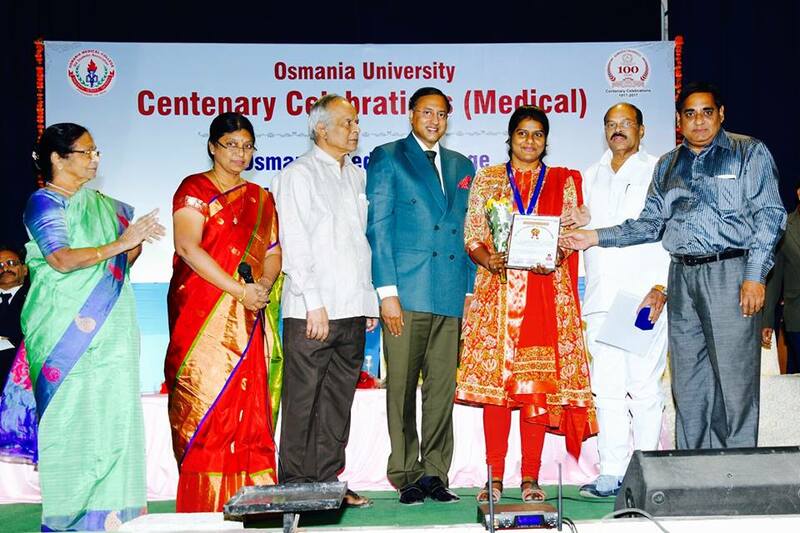 Also seen in the picture are Dr Aruna Ramaiah, Chief Guest, Dr Krishna Reddy, Chairman - Osmania Medical College Gold Medal Committee & Dr Gopal Kishan, Guest of honour. 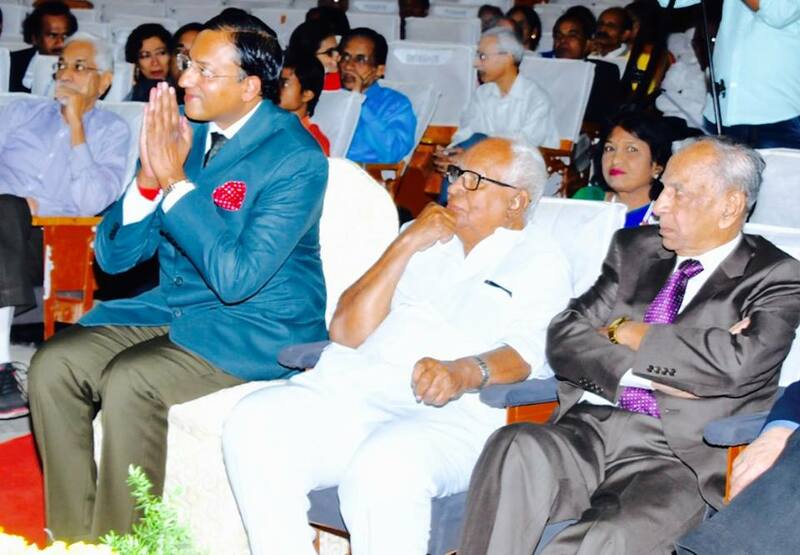 Dr. Raghu Ram set up a corpus fund in his father, Prof. Chalapathi Rao's name. 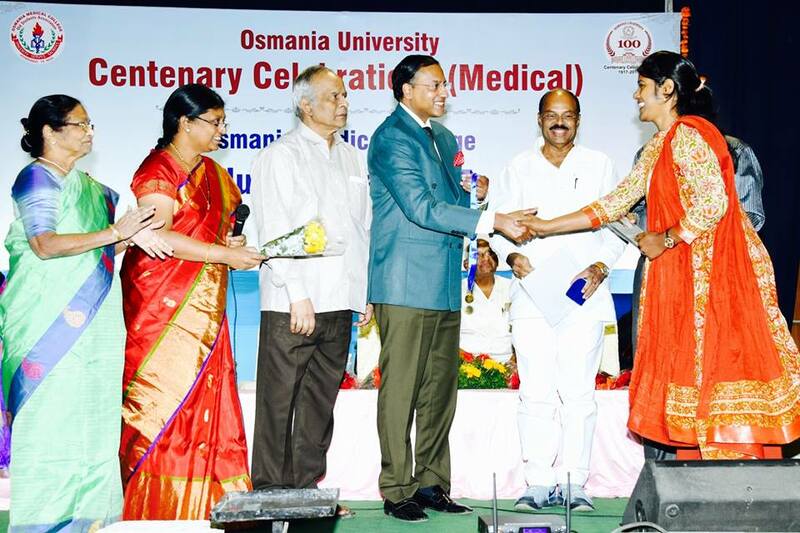 The interest generated is being used annually to award the best outgoing undergraduate Student in Surgery (MBBS final year) @ Gandhi Medical College and best outgoing Postgraduate Student (MS) in Gen Surgery @ Osmania Medical College . 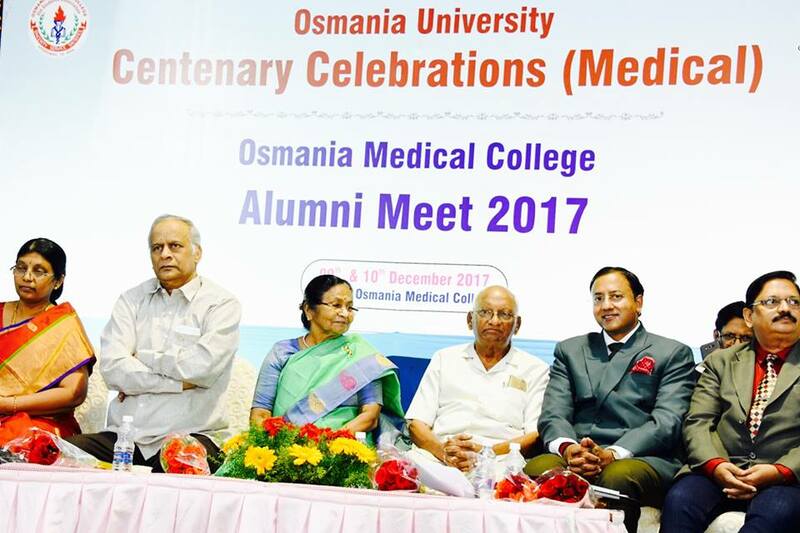 Dr. Raghu Ram chose these these two Colleges as his father served in both these premier Institutions as Professor of Surgery for 16 years from 1967 - 1983, when he took voluntary retirement.